The words of Alessandro Michele are an interesting revelation about the genius responsible for the transformation of a leading design house: he loves to dream. The 44 year old creative director of Gucci is somebody you can expect the unexpected from. He is, after all, the master and the magician, churning out intense and modern designs, one stitch at a time. Michele’s artistic genius can in a way be compared to that of Tom Ford, who shaped the brand’s sinking identity in the 90’s, giving it his own sultry touch. 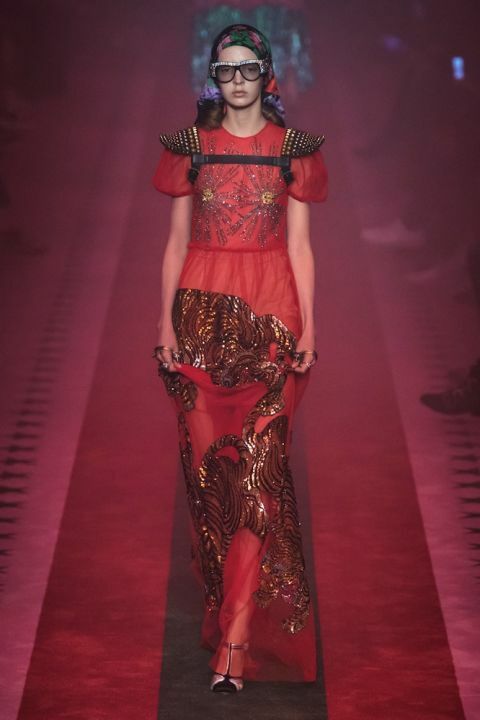 In a time when fashion is more of a commercial whim than a fantasy, Alessandro Michele has balanced it all: tasteful art and commercial success have paved the way towards clients like Camilla Belle, Dakota Johnson, Georgia May Jagger and many more. Inspired from the charms of the past when his contemporaries venture into the future, Alessandro Michele’s presentations are nothing short of dramatic: embellished glasses, androgynous coats, silk scarves and clothes with whimsical prints are a sight for the eyes. With such a wide selection, it is not unusual for street style enthusiasts to follow suit; Gucci’s bomber jackets and the Dionysus bag are hit styles on the fashion scene. Just when you think he has delivered his best, the finger ring loving designer furnishes something exemplary and unexpected, be it curating Gucci’s magazine for the ‘blind for love’ theme, styling the brand’s arty campaigns, or collaborating with Trouble Andrew, a.k.a. Gucci Ghost, who painted the Gucci logo on walls and other objects found on the streets of New York. That’s the thing about Alessandro Michele: he has up his magician sleeve playful reveries of flora and fauna which never fail to entice. 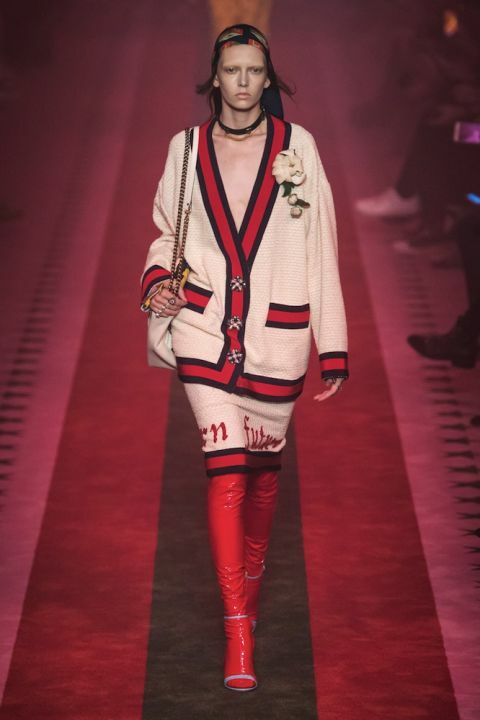 Coming from a man who has long before proclaimed his love for Rome and discovery of new stitches while putting Gucci back on the ‘it’ list, collections are bound to be even more eventful and alluring. 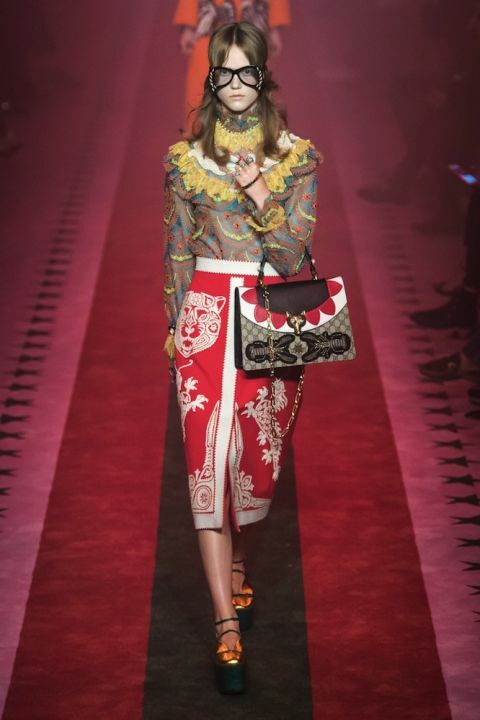 You will want to wait for it all, because if Alessandro Michele loves to dream, you will love what he dreams of. Thinker. Dreamer. Design Graduate. Generally a writer and stylist. Often a travel enthusiast. Self-proclaimed hippie. Borderline insomniac. On the lookout for like-minded souls that are a nearly extinct species.